inclined to think of the obvious, hereby, defining art in terms of the raw materials that are used to make an object or develop an idea and the way these elements are put together and transformed to produce the final original item, a painting, for example or a sculpture. Further thought on the subject may lead one to considering the fact that so many other fields that we take for granted and that are simply part and parcel of our everyday lives, fit the description stated above and could therefore be classified under the title of art, these hereby including architecture, pottery, photographs, artistic representations such as dance, theatre, films, novels or poetry, culinary art, haute couture. Yet why are all these areas cited previously, and many more, classified as art ? Indeed, all these domains and more represent art as being extremely influential, successfully captivating our attentiveness and stimulating our intellect, inquisitiveness, emotions and senses in some way. PARAGRAPH 3. If art is influential, captivating, stimulating then it is made possible through the presence of two principal parties within the communication process, namely, the artist or creator and the observer, but what does art represent for each of these parties ? For the creator, art is the construction of something tangible or intangible in a purely manual, intellectual, personal way. This tangible or intangible artistic element is very special, beautiful (although not necessarily), different, even practical or functional (although not necessarily). Art can only be considered and recognised as such if the creator or artist possesses certain qualities which may include being different from others, clear, sincere, instinctive (he/she just knows what to do). Other qualities may include the creator being inspired, talented, having flair or being quite simply provoking or absurd (Filliou's mop and bucket standing with a notice hung around it “La Joconde est dans les escaliers” - The Mona Lisa is on the stairs, on exhibition at the Centre Georges Pompidou, Metz, France May 2010 - January 2011) and/or highly persuasive in convincing the individual that things can be seen differently, that we need to question ourselves, things and situations around us (Stefano Bombardieri’s sculpture exhibited in Sirmione, Italy in 2010, representing what would appear to be a three–to-four metre high wooden support with a massive boulder being maintained at the top by several pieces of wood and with the words “I don’t like a rolling stone “ written on the bottom of the support). Of course, these qualities and artistic techniques may be acquired through training and education hereby, contributing to the artist’s excellence, but for the real artist all this is innate. He/she has a certain sensibility, consciousness and experience of life . For the observer, for art to be considered as art, it helps if the person is receptive, but most of all inspired. His/her attention needs to be caught and he/she has to like what the creator has made. This would also imply that “beauty, and as an extension of this concept, appreciation and understanding of the artist and his work, is in the eye of the beholder” involving varying perceptions of life and experiences . Thus, what is art for one may not be for another , or art is subjective. A person in a room full of various objects may therefore walk completely past a painting on a wall, another will stop in front of it and analyse it from every possible angle and place some construct on it in function of his/her perception, experience of life, hereby, leading to consonance or dissonance. Even when an individual is susceptible to appreciate and consider art as “art”, receptiveness will depend on the context in which the art object or concept is presented. One could only be potentially receptive to the Japanese artist Takashi Murakami’s work exhibited in Versailles, France in 2010, which was placed in a potentially exquisite artistic contrasting context. However, if one had seen these same works of art in a Disney world context, one might or might not even have spotted them within the colourful and cartoon-like decor or have considered them to be art, even though one may generally have knowledge of the artist’s style. While taking the above two parties into account, one may affirm that art is synonymous with value – some form of merit or financial attribution. More precisely, if the circumstances are propitious, that is, the creator’s excellence is recognised by a certain number of onlookers in a positive way, the artist hereby being put on a pedestal, then his/her work of art is attributed a certain value (often financial). Generally speaking, art is what enriches individuals in terms of culture and has done so ever since the beginning of mankind. It is what has enabled the human race to progress. One only has to take a look at architecture and the development of building techniques and materials over the centuries to confirm the validity of the above statement. “What is art ?” is therefore a question which may lead to endless discussion and debate, yet it can be narrowed down to considering it in terms of raw materials and methods of production, its presence in our daily lives, its impact on each one of us physically and mentally. It may also be considered from the point of view of the creator and from that of the observer, with a value added aspect included and at a more general level, regarding its impact on society and the human race as a whole. 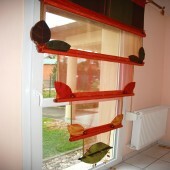 the language teaching sector (Greta, Institut Régional d'Administration, various companies within the Moselle region, France) ; freelance curtain design (own premises). - 1996, TEFL (Teaching English as a Foreign Language), open university. - 1986, BA Honours Degree in "French Studies", Portsmouth Polytechnic, GB. - 1984, RSA "Français des Affaires", Portsmouth Polytechnic, GB. - 1982 - A'levels, Bryn Hafren Comprehensive school, Barry, S. Wales, GB. - 1980 - 0'levels, Bryn Hafren Comprehensive school, Barry, S. Wales, GB. - various qualifications in classical dance up to intermediate + level. 2004 - present date : Further Education English teacher, GRETA Lorraine Nord, France. 2005 - present date : English teacher, Institut Régional d'Administration, Metz, France. 2006 - present date : Freelance English teacher, CREA DIFFUSION, Solgne, France. 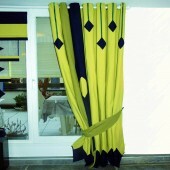 2006 - present date : Freelancer - made-to-measure curtain design, Metz, France. 1997 - 2004 : Further Education English teacher, GRETA, Metz, France. 1987 - 1997 : English and Marketing teacher, WELLER/IPME, Metz, France. 1987 - 1997 : Business English teacher, ESIDEC + ICOSUP, Metz, France. 1987 - 1997 : English teacher, University of Metz, France. 1987 - 1997 : Teacher-translator-interpreter, CCI, Metz, France. 1986 - 1987 : Language Assistant, University of Metz, France. 1985 - 1986 : trainee - Renault, Nancy ; animator - Haute savoie, France. 1980 - 1986 : hotel and catering work, Barry, Cardiff, Portsmouth, GB. 1980 - 1983 : au pair, Lyon, France ; Sales person, Debenhams, Cardiff, GB. - Participation in an artisanal exhibition , namely, "Les Caligeottes" on 3 June 2012 displaying creative curtains in collaboration with an artist firiend and this among 18 other artists, in Lorry-les-Metz, France, with a special surprise visit from the minister of culture. 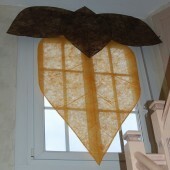 - Participation in a 3-day regional event (1, 2, 3 April 2011) exhibiting creative curtains in the presence of three other artists within the "Atelier Botica" showroom in Châtel Saint Germain, Lorraine France. 2011 - 2012, Winner, A' Design Award, Milan, Italy. 2011 - 2012, Runner-up, A' Design Award, Milan, Italy. 2010 - 2011, Runner-up, A' Design Award, Milan, Italy. 2012, DESIGNPRWIRE and other international media associated with the A' Design Award, 13 April, COMO, ITALY. 2011, DESIGNPRWIRE associated with the A' Design Award, 31 May, COMO, ITALY. 2011, "Metz Femmes" and "Nancy Femmes" design/art/fashion magazines, Sept-Oct-Nov, METZ/NANCY, FRANCE. English (Native - mother tongue), French (Native), Italian (Beginner). General knowlege and ability to perform essential tasks on a computer. Classical and modern/contemporary dance, gym, jogging, sewing, DIY and general interest for art and the design world. Window dressing for : local clients - various private individuals ; Le Joli Fou (restaurant), Remilly, France ; BS France (tiling company), Behren-lès-Forbach, France ; Le Jardin de Jöelle (gym club), Metz, France ; Cabinet dentaire (waiting room), Boulay, France. Business connections with Atelier Botica (decor showroom) in Châtel Saint Germain and La Maison (House-shop) in Longeville-les-Metz, France. 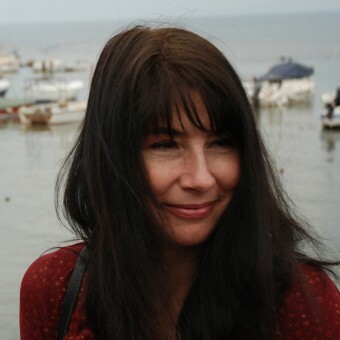 Press Members: Request an exclusive interview with Lesley Bloomfield Faedi.